Gracing the upcoming cover of Vanity Fair is Caitlyn Jenner, formerly known as Bruce Jenner, formerly known as the guy on the cover of the Wheaties Box. Say what you will about whether you approve or disapprove of the transition that Caitlyn is making…actually whatever you may think or want to say is best kept to yourself. This is not our issue to commend or to condemn. This is the act of a desperate individual searching for some shred of normalcy to a life they described as anything but…normal. Yes it’s being played out for the entire world to see, and though we may have our views, one way or the other as to whether this furthers or hinders the cause of transgender individuals. We cannot deny that it is a conversation starter. It compels us to talk openly about topics once considered taboo. But more importantly it forces us to rethink our ideas about masculinity. 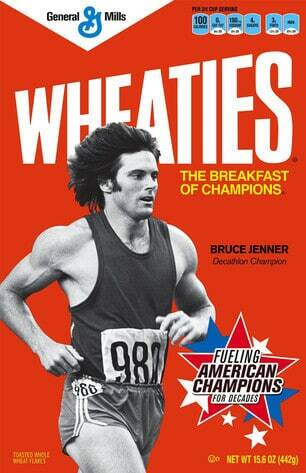 When the gold medal winner in the Men’s Decathlon, transitions into a woman…you don’t need the Village People to tell you about a new definition of a “macho man.” I for one will refer to Ms. Jenner as Caitlyn, because that’s what she asks to be called, and my mother taught me never to disrespect a lady…especially when she’s bigger and stronger than you.